He looks like Cash. He sounds like Cash. He moves like Cash--Nobody does Johnny Cash like Terry Lee Goffee. 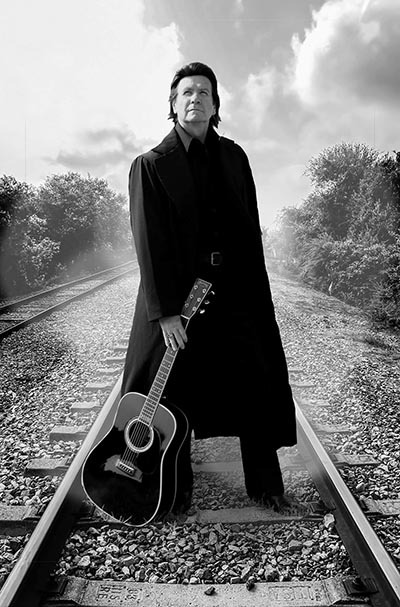 His long-running admiration for the music and the man is apparent in his performance as Cash, brought by Crossings to the Zumbrota State Theatre on Fri, June 28, at 8 p.m.
Goffee was recently written up in two books about celebrities. "Daily Doubles, Celebrity Impersonators" by C J Morgan and Jack Bullard, who are also tribute artists. And "Behind The Microphone" by Lew Dobbins, a personal history of country music.